HDFC Credila, a subsidiary of HDFC Ltd. Company, is India's first lender which is fully dedicated to offering education loan for higher studies in India and abroad. HDFC Credila is a pioneering specialist of Education Loan lender offering help to most of the aspiring students to achieve their dreams of higher education in India or abroad. With the rise in the cost of higher education, an average middle-class Indian parent has to scrape out the large portion of their savings to their child's education. Due to this reason, most of the children get deprived of fulfillment of their dreams. Keeping this in mind, many banks in India have started lending education loans with attractive schemes and services to students planning to pursue their studies further. One such popular scheme is HDFC Credila Education Loan which is offered by HDFC bank. HDFC Credila offers customized education loan and interest rate to the borrower depending on the institution, details of the co-borrower, and the student's academic background. Afinoz.com is India's foremost online financial platform for availing loans and investments. Our main objective is to make the process of getting a loan or making an investment safer, convenient and hassle-free for individuals. We work with public and private banks, NBFCs and mutual fund houses across the entire country and offer an unbiased quotation on financial products. You can contact our team to get more information or apply for a loan or investment by calling on +0120-411-0376 or Email us at info@afinoz.com. 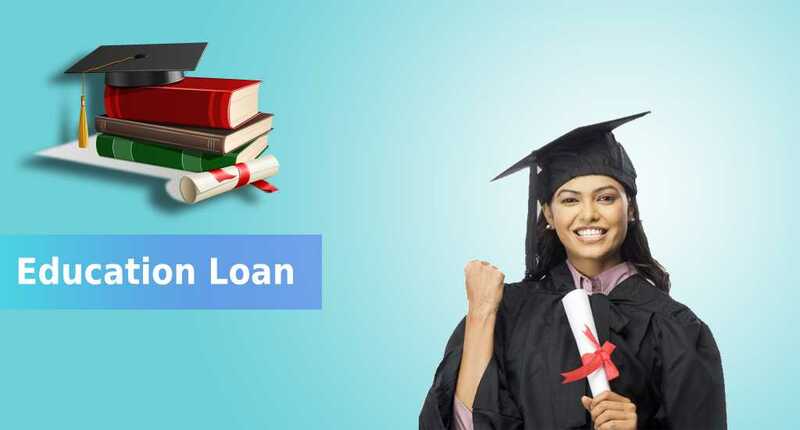 ➜ How to get an Education Loan in India? ➜ How to Compare Education Loans? Both the applicant and the co-applicant(s) should meet the credit and underwriting guidelines of HDFC Credila. The maximum tenure offered by the HDFC bank is 12 years. The loan tenure, however, depends on the factors such as the age of the applicant, repayment capacity, future scope of the course, etc. The monthly loan repayment amount will be deducted from the candidate's/co-applicant’s bank account using ECS (Electronic Clearing System), after completion of study & Grace period. HDFC Credila offers attractive interest on its education loans. It provides floating interest rate linked to HDFC Credila Benchmark Lending Rate (CBLR). Query: How is HDFC Credila different from other education loan provider? Reply: Unlike other education loan lenders, HDFC Credila approves your education loan even before your admission process is complete so that the candidate can proceed further with his/her studies without any difficulty. Query: Can I get an education loan of Rs. 40 lakhs to study in the USA from HDFC Credila? Reply: You can get an education loan of Rs. 40 lakhs without any security from Credila if you are planning on pursuing MS in the USA and your GRE score is more than 325. HDFC Credila also offers education loans of upto Rs. 1 crore with security for students planning to do the undergraduate programme in the USA. Query: Do I have to submit original documents while applying for an education loan from HDFC Credila? Reply: Other than the original completed loan application form, HDFC Credila does not ask for any original documents. Just the self-attested copies of the documents provided with the application form. Query: How much loan amount does HDFC Credila lend to a candidate? Reply: Under the HDFC Credila education loan scheme, you can avail a minimum loan amount of upto Rs. 1 lakh to a maximum amount of Rs. 40 lakhs. Query: Will I get a moratorium period for an education loan from HDFC Credila? Reply: HDFC offers a moratorium period of 1 year after the completion of education or 6 months after the date of joining whichever is earlier. Query: Isthe moratorium period of HDFC education loan available for all type courses? Query: How much interest do I have to pay for an education loan from HDFC Credila if I take a loan of Rs. 3 lakhs? Reply:HDFC Credila provides a floating interest rate ranging from 11 to 14.5 %. Rate of interest is subject to change from time to time. Query: What is the loan from HDFC Credila for - Stay/just study/travel? Reply:HDFC Credila education loan can be taken for funding tuition fees, living and periodical travelling and book expenses. Query: Is there a tax benefit on the interest paid on HDFC Credila education loan? Reply:Every HDFC Credila education loan applicant and co-applicant(s) is eligible for a tax benefit on the interest paid under the Section 80E of the Income Tax Act, 1961. For any query about HDFC Credila Education Loanapplication, you can log on to Afinoz or give us a call at +91- 0120-411-0376 or Email us at info@afinoz.com.